The Amazon Kindle Daily Deals for today include All My Puny Sorrows by Miram Toews for 1.99. I also found Jacqueline Susann’s classic, Valley of the Dolls, (normally $9.99) for $3.99. The movie tie-in ebook of Patricia Highsmith’s Carol is Barnes and Nobles Nook Daily Finds. The price is $3.99. B & N also has a limited-time coupon for $10 off purchases of $75 or more. Expires December 19, 2015. The Kobo Daily Deal is The Last Anniversary by Liane Moriarty for $1.99. The YA Deal of the Week is The Emperor of Any Place by Tim Wynne-Jones at $4.99. 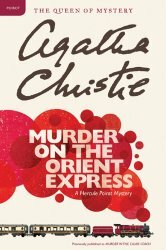 There is also a selection of classic Agatha Christie mysteries for just $1.99 each. This entry was posted in Daily Deals and tagged Agatha Christie, Jacqueline Susann, Patricial Highsmith, YA. Bookmark the permalink.